For some moms we are going to go ahead and take a big guess that shopping for a minivan is completely unappealing? Are we right? We are here to tell you that you don’t need to fall trap to the minivan because, Chevrolet has something to offer for those families with hauling and passenger space needs that isn’t the dreaded minivan. So let’s have at it moms and take a look into five awesome Chevrolet SUV & Crossovers, in order of size, that will cater to the different needs of your family. The utility of a truck with the versatility and amenities of a luxury SUV. The Chevrolet Suburban will get you where you want to go and accommodate all your family’s needs. Receive all the comforts of home while you are on the road. The Suburban offers space, comfort and convenience with an available power release second row and power fold flat 3rd row seats, spacious enough for the whole family. America’s best-selling SUV year after year. The Chevrolet Tahoe blends advanced technology, bold styling and powerful performance making it the most dependable SUV to boot. Available with a 3rd row seat and plenty of cargo space for your hauling needs not to mention, peace and quiet with cabin refinements and a tech savvy interior for those road trips with the kids. The Chevrolet Traverse is one vehicle for all offering seating for up to 8, best in class for maximum cargo space and advanced technology. Literally, the ultimate family gathering place with second and even 3rd row seating, as well as extra storage space. Keep you and your family connected on the road with the available and built in 4G LTE WI-FI for up to 7 devices not to mention the Traverse provides top safety in all the right places. Have it all with the Chevrolet Equinox. The equinox was designed to meet every mom’s needs in a family vehicle. Style, Technology, performance and safety this crossover is the perfect edition for that complete family package. The spacious Equinox accommodates you, your family and just about anything else you may need to bring along. Have your hands full, you can’t go wrong with a hands free lift gate? Trust us when we say the Chevrolet Equinox really is one vehicle for all. The all new Chevrolet Trax is a perfect go to as it meets your family lifestyle needs of a large SUV in a small SUV. Designed for city driving the Trax would make a perfect vehicle for that mom on the go. Premium yet practical. One size fits all with the Trax as it provides several various seating configurations offering cargo versatility for any lifestyle. The Trax makes perfect for all those family adventures. Chevrolet is here to save the day with a variety of SUV’s to meet the needs of any family. The Chevrolet Suburban, Tahoe, Traverse, Equinox and Trax are among some of the best SUV’s in their class, making them a perfect option for families alike. 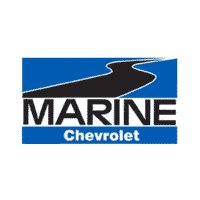 Marine Chevy has what you need to make your mom’s dream come true, with the largest selection and lowest prices of Chevrolet SUV’s in the Jacksonville, NC area.